We are lucky enough to have many things we are fond of in life. Our beautiful family. Gilmore Girls. Costco. Nutella. So imagine our joy when some of those things combine. No, Costco isn’t opening a branch of Luke’s Diner, which would be awesome, but good enough: It is creating its own, less expensive brand of hazelnut spread similar to Nutella. 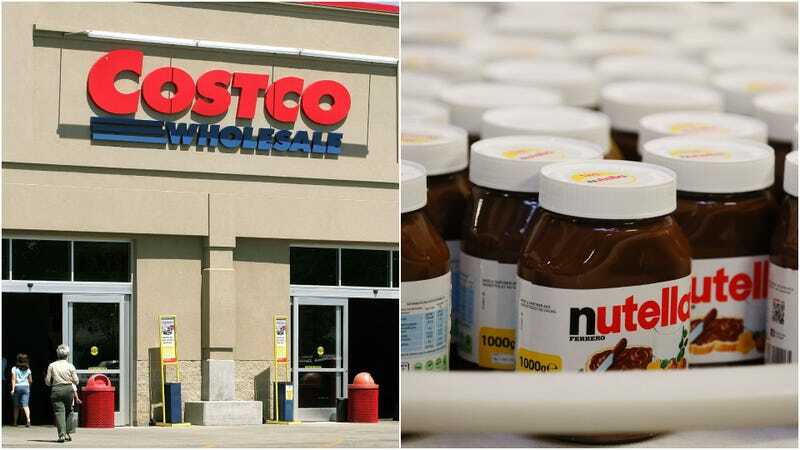 As Money astutely points out, both Nutella and Costco have fans that are a little, shall we say, obsessive. So we wouldn’t be surprised if riots over this new more affordable hazelnut spread break out in American Costcos, like those Nutella fights did in France. But honestly, we’re just happy that Costco cares enough about us to follow our interests so closely. We’ll be looking for those Gilmore Girls box sets on our next visit.